A well-known vehicle body repairer, Don Tillett, 45, of Supaul Street, was declared dead at about 8:30 Monday evening at the Karl Heusner Memorial Hospital (KHMH) after he was rushed there by his family after he fell off his bed at his home, and was not responding to their efforts to revive him. Tillett was at home recovering from a serious beating he had endured at the hands of three individuals to whom he had given a ride on New Year’s Day, Wednesday, January 1. 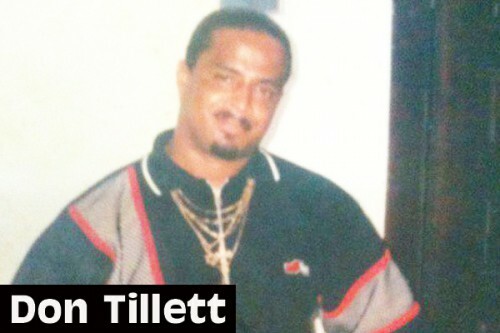 According to the police’s official report, Tillett told them that on New Year’s Day, sometime after dark (he does not remember the exact time), he went to check on a house off Central American Boulevard in Belize City in a silver Dodge Neon car, which belongs to Tillett’s nephew, Roque Riverol. On the way, Tillett reportedly stopped on an unnamed street to give a ride to three men, one of East Indian descent and the other two of Creole descent. Upon reaching the junction of the street and Central American Boulevard, however, Tillett was hit on the back of the head by the man seated behind him, rendering him unconscious. Tillett told police that when he regained consciousness, he was in mud and water in some bushes past the Haulover Bridge on the Philip Goldson Highway. He also realized that he had been robbed of $2,000, his black Apple iPhone valued at $1,800, the documents of ownership for his blue and silver Kawasaki motorcycle, and his nephew’s car. Tillett was admitted to the KHMH in a stable condition, but, subsequent to his release, died sometime after 8:00 on Monday evening, January 6. Wayne Tillett, Don’s elder brother, said that the car was found up the Philip Goldson Highway leading to Ladyville, three miles from where Don was found in the Haulover Bridge area. Wayne said that they were all drinking at their home on Supaul Street on New Year’s Day when Don took their nephew’s car and drove away. He indicated that he was going to the Pen Road area, to find a man he had made an arrangement with to help him, since he, Don, was moving to another house. He also had the rent he had collected for the house with him. Wayne said that they all began to worry when Don did not return home after a reasonable amount of time. They were later told that he was found on the road near Haulover Bridge. They rushed to the area, he said. Wayne said that his sister went to the hospital to see Don, and he, Wayne, spoke with him later on Thursday, but on Friday, he was surprised to learn that Don had been released. The family said that at home, after he was released on Friday, Don was in pain and unresponsive. On Monday, he fell out of the bed, and when they rushed him to the KHMH, he was pronounced dead on arrival. The family strongly believes that the Karl Heusner Memorial Hospital is to be blamed for Don’s death, because he had been released from the hospital far too early. The family said that he had just emerged from an induced coma, and had not fully recovered and was in pain when the hospital released him, despite their pleas that the institution delay his release, and continue to treat him. The family said that they were told that the space was needed, and that his brain was not damaged, but a pacemaker for his heart was necessary. Don was released from the hospital on Friday, January 3, two days after he was found beaten and unconscious on the side of the road near Haulover Bridge on New Year’s night. The family said that they are also aggrieved, because the fact that Don had been hit in the head and had a heart problem which required a pacemaker was all the more reason why he should have been kept in the hospital for frequent checks and monitoring after the beating. The family believes that the case will be hard to solve, because Don did not know the men, and could not identify them. They are calling on the public to assist in capturing the murderers. Anyone with information that can lead to the arrest of the three criminals is urged to contact the nearest police station, or the Belize City Crimes Investigation, or 0800 – 922 TIPS. People who knew Don Tillett knew him to be friendly and easy to get along with, and not someone who was involved in shady or violent activities. The family is devastated. Wayne said that he trained his brother, and that they had worked together, and that he will be greatly missed. Don Tillett is survived by his three sons, his wife, two brothers, including Wayne, sisters, aunts, and a host of other relatives. The body awaits a post-mortem, as police investigations continue.